. . . 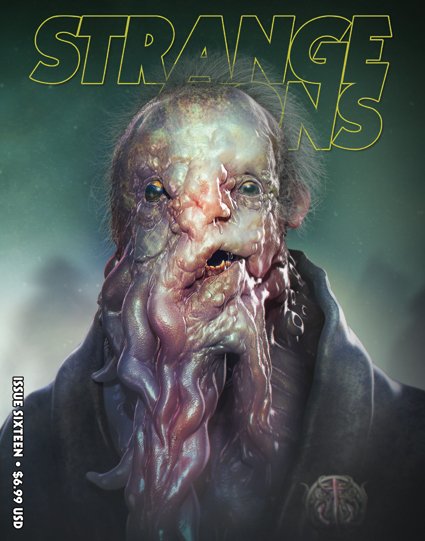 STRANGE AEONS Magazine . . . PLEASE NOTE: The following prices are for US shipments only. For international prices, please contact info @ strange-aeons.com for your actual shipping costs. Our sensational Issue Sixteen is now availaible! We're kicking off the year in style with a truly amazing cover by the incomparable Mohloco! You can check out more of his artwork here. 56 pages of gorgeous B&W and Color Comics by Rob Corless, Brandon Barrows, Shelby Denham, and Eric York! Short Story Fiction by both Lon Prater and Molly Tanzer! Articles, Columns, Reviews and so much more can be found waiting inside, including interviews with the HP Lovecraft Historical Society and (the musical) Dr. Hill himself, Jesse Merlin! 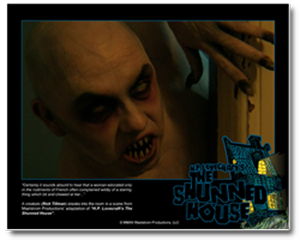 And if that wasn't enough... for a limited time... you can watch or download your very own copy of Maelstrom Production's award-winning film, THE SHUNNED HOUSE !!! And as an added bonus, a Lobby Card for the same film!